Unflavored (add your own flavored lube if you'd like). Individually sealed. 6 x 10 inch thin latex sheets. 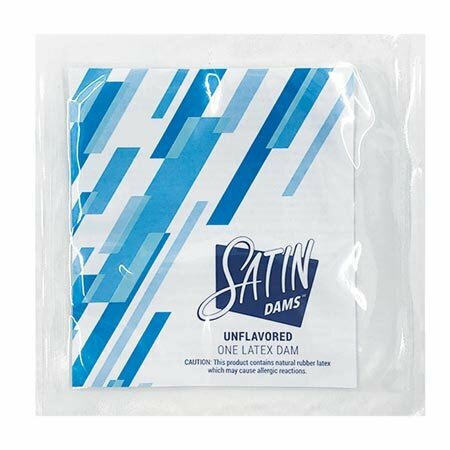 These latex oral dams (sometimes called "dental dams") come in compact, individually-sealed packaging. The only oral dam on the market with a hermetically sealed package. 6 x 10 inch thin latex sheets. Cleared for sale by FDA and EU.